Love pets but hate pet dander? You’re not alone. Many of us are willing to put up with itchy noses in exchange for the cold, wet nose of our beloved best friend. But that doesn’t mean you should suffer for it. While allergy medicines are a common go-to solution to pet dander, there are natural remedies for relieving the headaches, itchy eyes, nausea, and runny noses caused by indoor air pollutants. They purify air, alleviating sick building syndrome caused by formaldehyde, benzene, ammonia, and other common irritants found in the air of homes and office buildings. They help maintain humidity levels and stabilize them at recommended levels for allergy sufferers. NASA created their clean air study to find the best plants for growing in closed environments. Their goal was to find plants could be grown on Mars and Lunar bases that would easy too maintain and improve indoor air quality, without adding additional toxic compounds to the air. Here’s what they came up. The areca palm adds a tropic feel to your home while also working as a natural humidifier. The proper amount of humidity, which is the amount of water vapor in air, can improve allergy symptoms, like nasal congestion and irritation, making it easier to breathe. Humidity has the opportunity to help or hurt people with allergies. The benefit of using a plant to create humidity is that it will have a natural regulating effect rather than generating the heavy stagnant air that often accompanies electric humidifiers. Growing an areca palm requires having access to bright, indirect sunlight because direct exposure to the sun can damage the leaves. It also prefers to live at a temperature between 60 F and 75 F. Exposure to cold can also damage the leaves. Take care not to overwater your areca palm and ensure its pot has plenty of drainage. They don’t like ‘wet feet’ as horticulturists say. Be sure to water it appropriately according to the season, and don’t forget to repot it every two years. Conversely, bamboo palms love light; though, they will grow in low light conditions. 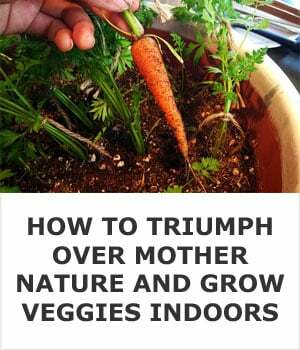 When growing them indoors, be sure to start with a healthy plant full of dark green leaves. Transfer your palm to a new pot 2 inches larger than the pot it came in. Choose a pot with adequate drainage and water it immediately. Water your bamboo palm whenever the soil surface feels dry. Don’t forget to use a time-release fertilizer to help it grow and it will happily convert carbon dioxide into oxygen while scrubbing air clean. Golden pothos and philodendron aren’t necessarily great for pet allergies, per say, because their properties control the level of formaldehyde in the air. But this is a valuable property of a houseplant because formaldehyde causes irritation of your nose, mouth, and throat, which may exacerbate your allergy symptoms. You might wonder how formaldehyde gets in your house in the first place. But almost every paper bag, paper towel, napkin, or tissue brought into your home is treated with it. Pothos don’t require a green thumb at all. They’re happy to go about their business of photosynthesis in many kinds of light and are will flourish in vases of water or dry soil. They’re probably one of the most popular office plants because they are so easy to care for, and your boss loves them too because studies show that their presence increases productivity. The only issue with pothos is that it is toxic to animals, so it’s best to keep out of reach of dogs by putting it on a high shelf. Cat-owners may choose to do without this one. Philodendron is another easy plant to grow even for those without green thumbs. These houseplants enjoy indirect sunlight, regular watering, and macro-nutrient rich fertilizer once a month. It’s easy to confuse a pothos plant with a philodendron. Remember, pothos are typically smaller, found in hanging baskets, and variegated with a white or yellow-ish color. Gerbera daisies are known for controlling the amount of benzene in the air. Benzene is used in plastics, dyes, detergents, and pesticides. However, it’s also found in tobacco smoke, glue, paint, vehicle exhausts, and furniture wax. With poor ventilation, benzene levels can creep above healthy levels. Air with high amounts of benzene can cause irritation to your eyes as well as drowsiness and dizziness. You’d need quite a bit of benzene to experience this, but being more sensitive to benzene may impact how you experience it. Gerbera daisies are great for growing in places like offices or workshops where you’re exposed to products that include benzene. 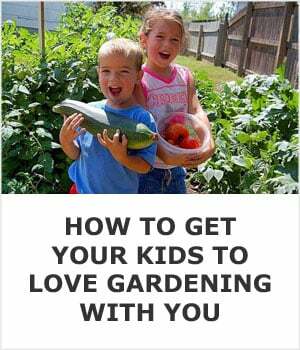 They’re easy to grow, particularly if you choose to grow them from seedlings. They enjoy full, direct sunlight and prefer plenty of room to stretch their roots. Crown rot is a problem for these plants, so you’ll need to take care to plant and water them correctly. Dracaena are ideal house plants because they take allergens out of air and hold them in their leaves. A dracaena can grow to be quite large, but pruning will keep it under control and keep it looking beautiful. These plants prefer moist soil, but hate soggy soil and will droop if they’re overwatered. They’re also happy in most temperatures, as long as they don’t drop below 50-60 F for too long. That’s right, it’s not just the houseplants themselves that purify the air, it’s the soil and roots too. Healthy soil is teeming with bacteria and other microorganisms that contribute to breathable air in your home or office. 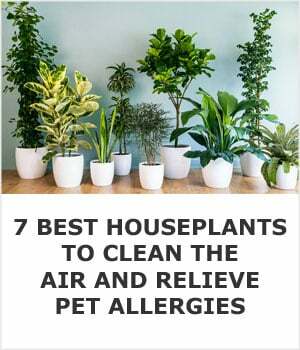 These plants are shown to help poorly ventilated indoor environments by removing contaminants that may be making your pet allergy symptoms worse. However, be sure to keep in mind that none of the plants listed by NASA can remove the actual dander from the air. To keep dander, mold, and pollen to a minimum you’ll need to vacuum regularly and you should consider investing in an air purifier. It’s possible to live with pet allergies and pets – you’ll just need to take a few extra steps to remove allergens and irritants from the air.